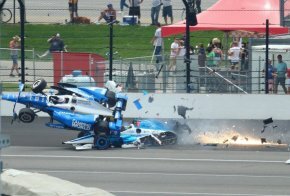 Scott Dixon and Jay Howard avoided serious injury in a spectacular crash — or what Dixon labeled “a wild ride” afterward — during the Indianapolis 500 on Sunday. The crash occurred on Lap 53 when Howard’s car bounced off the outside wall, apparently crushing his right front suspension. 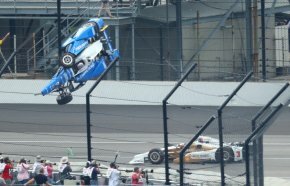 Dixon then went over the top of Howard’s car as he tried to get past and he became airborne, crashing into the safety fencing. A photographer behind the fencing appeared to suffer minor injuries. 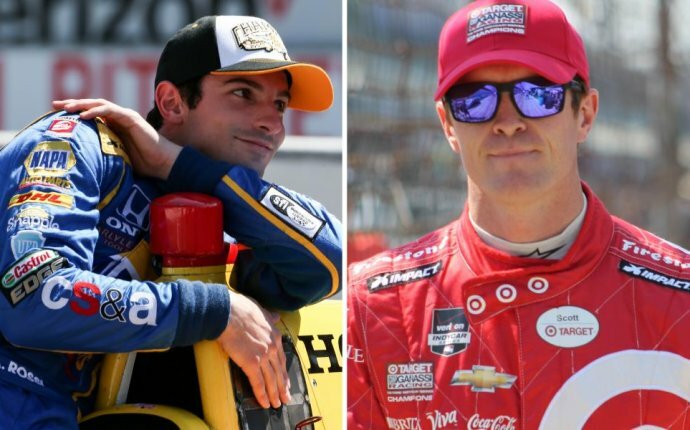 Dixon said he was hoping that he could get past Howard.